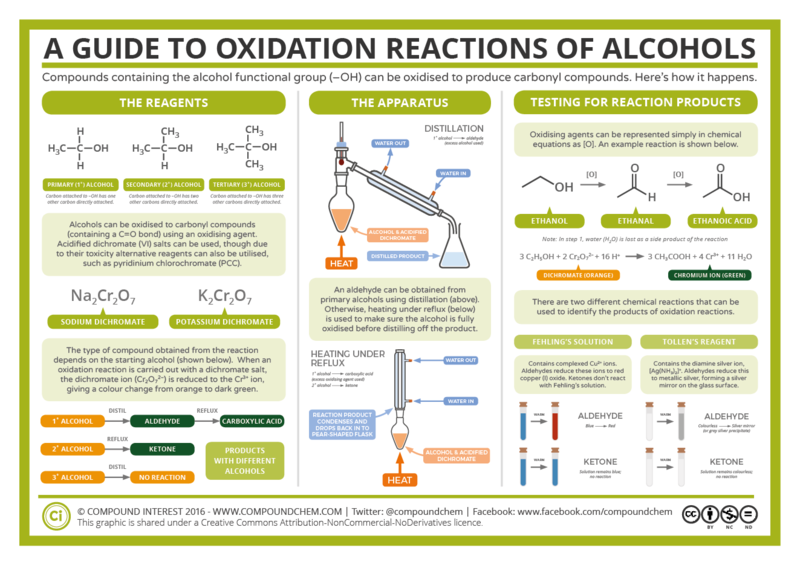 Today’s post is a quick one for the chemistry students, with a look at alcohol oxidation reactions. 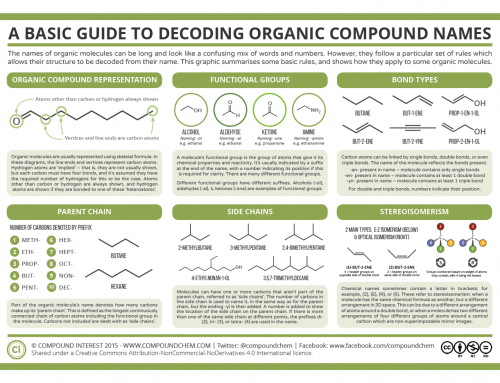 These are commonly taught at A level and beyond, and this graphic tries to provide a basic summary of the reagents used, equipment required, and ways of identifying the products formed. 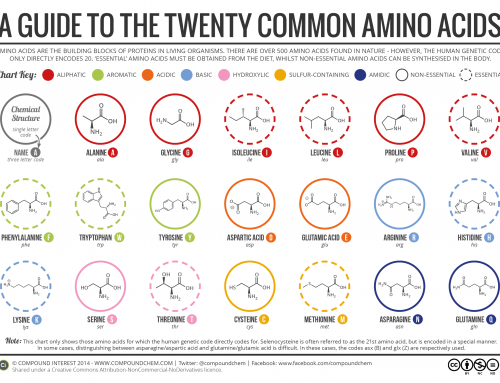 I should clarify, for any experienced chemists reading, that this summary graphic is very much geared towards the UK A level chemistry syllabus. For this reason, a prominence is given to sodium and potassium dichromate as oxidising agents, despite the fact that these are probably less commonly used than reagents such as pyridinium chlorochromate (PCC) and pyridinium dichromate. As it’s geared towards A level students, I’ve also shied away from going into detail about the mechanism here, as they’re simply told to represent oxidising agents with [O], and don’t need any knowledge of the manner in which the alcohol is oxidised. 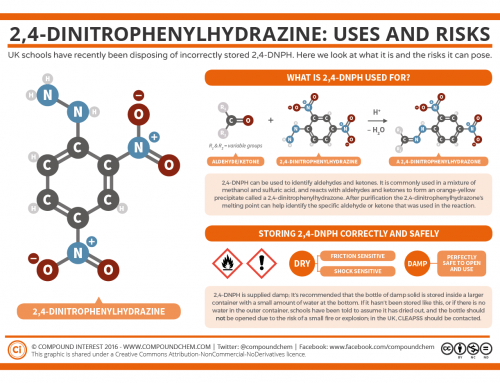 If you’re interested in finding out more about the gory details of the reaction though, James Ashenhurst has an excellent demystifying explanation over at Master Organic Chemistry (but it does require a bit of prior chemical knowledge to get your head around). 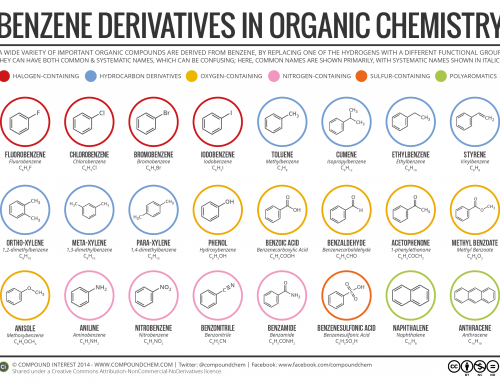 If, on the other hand, all of the organic chemistry featured above is a little beyond what you’re familiar with, this simple post on organic functional groups might be a good place to start. 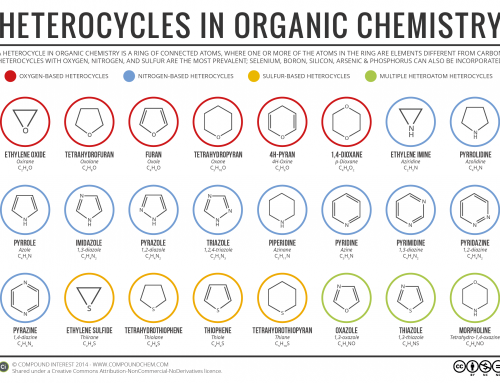 Alternatively, if you’re more interested in the more everyday applications of alcohol oxidation, you could check out how your body deals with the alcohol in beer, wine, and spirits.